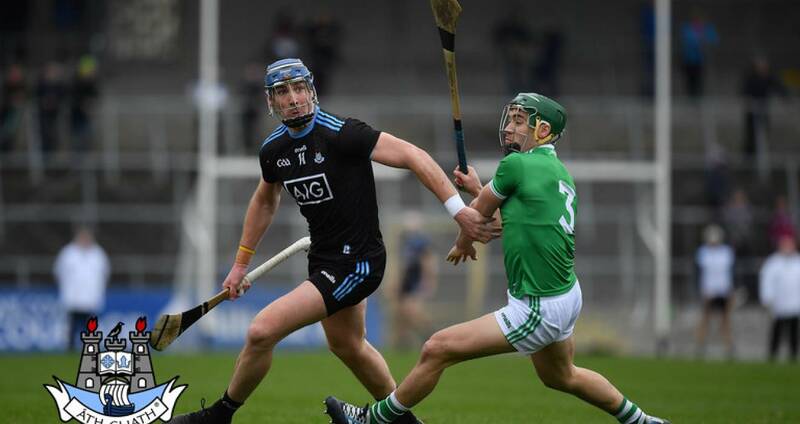 Dublin's HL Division 1 hopes were extinguished in Sunday's semi-final at Nowlan Park, Kilkenny by All-Ireland champions Limerick. The Dubs battled to the final bell to lose by three points having trailed by nine at one stage of the second half. Had they converted more of their opportunities from open play and frees earlier in the game it could have made for an even more interesting conclusion in front of the attendance of 13,227. Limerick effectively won the game with an impressive scoring surge at the midpoint of the second half to suddenly open up a 1-17 to 0-12 advantage having led by just one point, 0-10 to 0-9, at half-time with Danny Sutcliffe and Eamon Dillon firing some fine scores. Durling a half when the sides were level on seven occasions the Dubs have some fine display, particularly in defence where Eoghan O'Donnell, Paddy Smyth and Seán Moran impressed. Dublin's cause was not helped by three first half injuries as they lost the scoring threat of Oisín O'Rorke (11 minutes) as well as Seán Treacy (21) and Rian McBride (25) - all ankle injuries - while Daire Gray had to be replaced by a blood sub (Tomás Connolly) for over 20 minutes. However, with inside 20 minutes left Dublin were still very much in the hunt with the Shannonsiders just 0-13 to 0-12 in front. Then the game turned as Limerick upped their tempo and the half-back line of Diarmaid Byrnes, Dan Morrissey and Paddy O'Loughlin grew more influential. Peter Casey’s 52nd minute point ignited John Kiely's men as they hit 1-5 without reply to give them the cushion they carried to the finish despite Dublin's late rally. Substitute Séamus Flanagan struck for goal in the 61st minute - a brilliant team goal that involved the slick movement of possession by Diarmuid Byrnes and Cian Lynch. But Dublin refused to give in and sub Ronan Hayes' goal in the 64th minute sparked his side. Lynch did reply for LImerick but Dublin reeled off the last four points to cut the winning margin to three points. “I think Limerick are probably the most physical side in the championship at the moment. 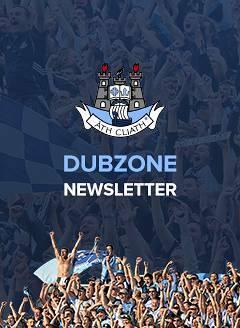 As well as being very good hurlers, they’re very well conditioned,” said Dublin manager Mattie Kenny. “Especially to that second half, they brought a lot of physicality. And they moved the ball very well and very smartly. “They have a lot of weapons in their armoury that they can use. “I thought they built their attacks very intelligently, and the running of their inside forwards was exceptional at times. “They asked a lot of questions of our defence, but I thought our defence stood up really well today … all of our defenders had outstanding games. “But the quality of the game should bring us on. We learned a lot again. “This Dublin side is a pretty young side; we’re putting in a lot of work to bring them on and we’re developing and improving every today,” added Mattie. SCORERS - Limerick:A Gillane (0-3f), D Byrnes (0-4f) 0-5 each, G Mulcahy 0-3, S Flanagan 1-0, D O’Donovan 0-2, T Morrissey, G Hegarty, P Casey, C Lynch 0-1 each. Dublin:P Ryan 0-6 (0-6f), D Sutcliffe, E Dillon 0-3 each, R Hayes 1-0, T Connolly, D Treacy, S Moran (0-1f), C Crummey 0-1 each. LIMERICK: N Quaid; T Condon, S Finn, R English; D Byrnes, D Morrissey, P O’Loughlin; C Lynch, D O’Donovan; G Hegarty, K Hayes, T Morrissey; A Gillane, P Casey, G Mulcahy. Subs:D Dempsey for T Morrissey (53), S Flanagan for Mulcahy (55), C Boylan for Hegarty (59), M Casey for Condon (65), B Murphy for Hayes (66). DUBLIN: A Nolan; D O’Connell, E O’Donnell, P Smyth; C Crummey, S Moran, S Barrett; D Gray, S Treacy; C Boland, D Sutcliffe, E Dillon; R McBride, J Hetherton, O O’Rorke. Subs:P Ryan for O’Rorke (inj, 11), T Connolly for Gray (blood 14-ht), F Whitely for S Treacy (inj, 21), J Malone for McBride (inj, 25), R Hayes for Hetherton (43), D Treacy for Boland (51).